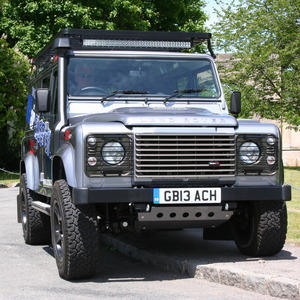 ACHSV 4x4 supply and fit Air Suspension for Land Rovers and other 4x4s. We supply and fit 4 different systems available from VB Air Suspension. 4C is a full electronically controlled system relating to all 4 corners of the vehicle. 2C uses the same control systems as 4C however it operates on the rear axle only. Semi-Air available for many Light Commercial vehicles and 4x4 pick-ups is an air system that fits into the present suspension system acting as a supplementary system for when vehicles are carrying heavy loads. And, finally, VB offer a range of Heavy duty Coil Springs replacing factory fitted items in heavy load situations. There are many applications where Air Suspension can improve handling and stability, from Emergency Service vehicles to Passenger Transport. With the addition of 4x4 vehicles into the range, many other customers can benefit from these enhancements especially in heavy load situations and towing. 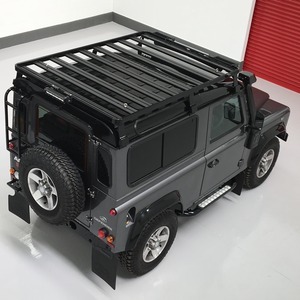 We supply full four corner suspension for the Land Rover Defender giving a superior ride, better handling, more traction off-road and more stable towing. A full write-up was featured in Land Rover Monthly magazine (Jan 2016), comparing Defenders with and without Air Suspension. 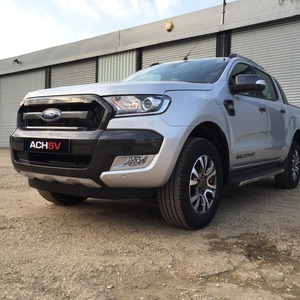 For the Ford Ranger PX from 2012, the Volkswagen Amarok range and the coil sprung Nissan Navara NP300 from 2015 we supply full air suspension for the rear axle. 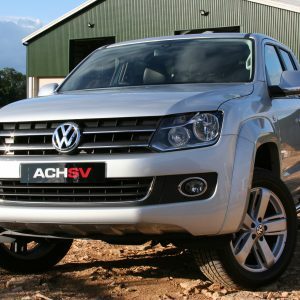 Aimed at the working pick-up, the system provides a constant ride height whatever the load keeping the nose of the vehicle down when carrying heavy loads or towing. 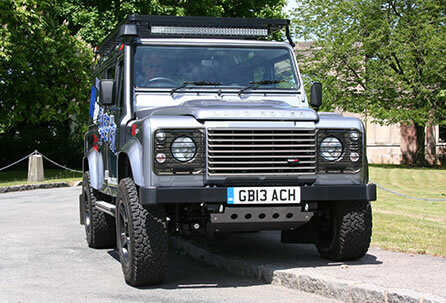 The vehicle can be lowered for loading or trailer coupling and raised to give better ground clearance. 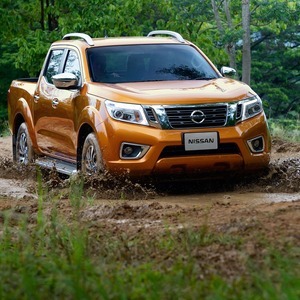 For the Isuzu D-Max, Mitsubishi L200 and leaf sprung Nissan Navara we offer the semi-air option. Semi air enables the driver to adjust the ride height of the rear of the vehicle from the drivers’ seat depending on load. A cost-effective way of strengthening the rear suspension only when it is required. The electronic system ensures that, independent of the load, the vehicle will always have the ride-height set by VB-Airsuspension. The rear end of the vehicle will not lower due to heavy load. Plus, the constant ride-height has a positive influence on the fuel consumption. To ensure that the brake pressure corresponds with the load of the vehicle, a LSV-unit (only used when the vehicle is equipped with a LSV) is used to regulate the brake pressure depending on the pressure in the bellows. The air-suspension system is standard equipped with a raise and lower switch. This switch offers the opportunity (when the parking-brake is used) to change the height of the rear of the vehicle to ease (un) loading of the vehicle or to ease (de)coupling of a trailer. Applying an air-suspension system in most cases requires a modification of the shock absorbers. Almost every air-suspension system comes with specific shock absorbers to improve the vehicle’s road handling and straight-ahead running. This will also reduce tyre wear-off. Due to the unique VB-Airsuspension construction, every air-suspension system has it’s own integrated stabiliser. This improves the vehicle’s stability and offers the driver a safer feeling.